The Galapagos Islands is a once in a lifetime travel destination. The island lacks natural predators and is full of fun friendly wildlife. 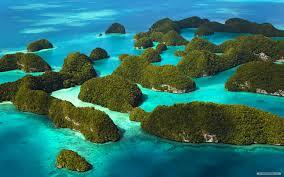 The galapagos includes 19 islands and is a world heritage site. Each island is unique, in its landscape, rock formations and beaches. When to visit – The busiest tourist months are in June – August and mid December to mid January. For hotter weather opt for December – May and for colder weather choose months from June – November. Tours – Booking day trips from the main island (Puerto Ayora in Santa Cruz) and then taking a yacht to the remote island is the best way to experience the Galapagos. Book a few months ahead to secure your booking. Where to stay – The Mansion Del Angel is a 14 bedroom boutique hotel, that is just 10 minutes walk from the tourist district. Another convenient hotel is Hotel Oro Verde Guayaquil. This hotel offers free shuttle services and provides a good service. What to do – There is a lot to do in the Galapagos, from wildlife watching, diving, snorkeling, hiking, surfing and volunteering to name a few. What to pack – Your packing essentials should include a waterproof camera, binoculars, swim gear, swim mask and fin, sun hat, sunscreen, sunglasses, motion sickness meds, quick dry clothing, rain gear and hiking shoes. You will need $100 as a park fee, if your tour package does not include this charge. Since the Ecuador’s currency is US dollars, there is no need for money exchange.